It's true. You make these 6 recipes with that big, orange gourd and you'll be totally set. Although I wouldn't blame you if you tapped into your inner mixologist and created a fall, pumpkin cocktail too. But who would blame you for that? 1. Pumpkin Soup with Cranberry Apple Relish (to bring in all the fall flavors!). 2. 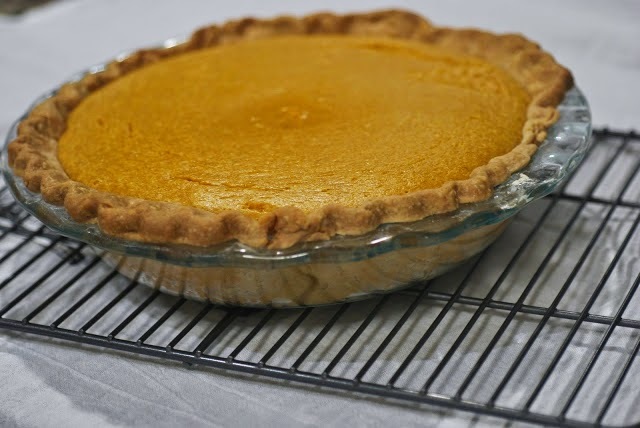 Pumpkin Pie (it has to be included...it just has to). 3. Pumpkin Ravioli (because yes, pumpkin can be dinner too). 4. Chocolate Chip Pumpkin Bread ('cause duh). 5. Pumpkin Bread with Cream Cheese Glaze (of course, there's more bread). 6. Frosted Pumpkin Bars (my personal favorite).